Yesterday was a very cold night in Kohima. The blankets provided by our Hotel (Galaxy) were insufficient. By 2:00 am in the night, the temperature had fallen to about 5 degrees. There was a time I was shivering underneath the blanket even with my hoodie, tracks and socks on. We couldn’t stay in that hotel for another day. The check out time was 12:00 pm. We decided to pay a visit to some tourist spots nearby. 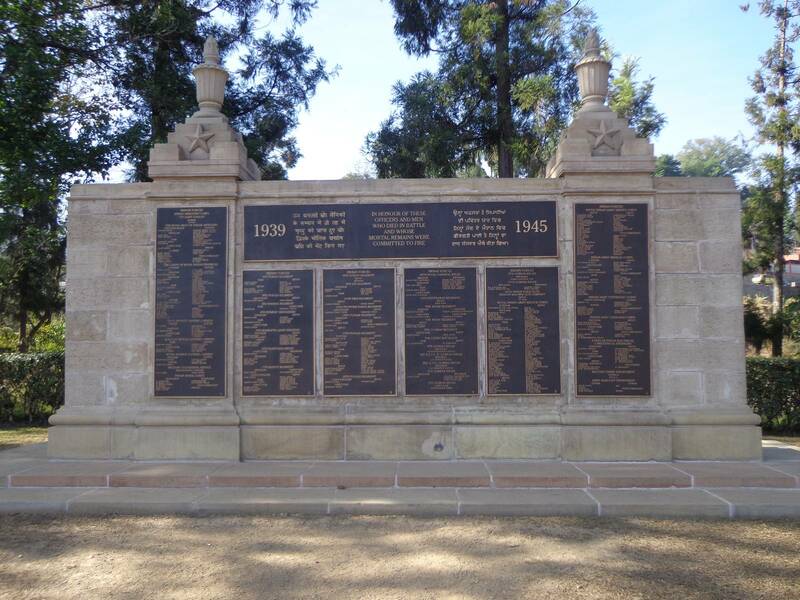 Kohima was an important victory for India during WWII. Had the British and the Indian forces not put their lives on the line, Japan would have taken control over North-East India. The battle is known as Battle of the Tennis Court. Here around the tennis court of the Deputy Commissioner lie men who fought in the battle of Kohima in which they and their comrades finally halted the invasion of India by the forces of Japan in April 1944. A large memorial with the tennis court where innumerable British and Indian fighters defended the land from the Japanese. One lone lady’s grave. I didn’t come across another lady’s grave in the entire cemetery. 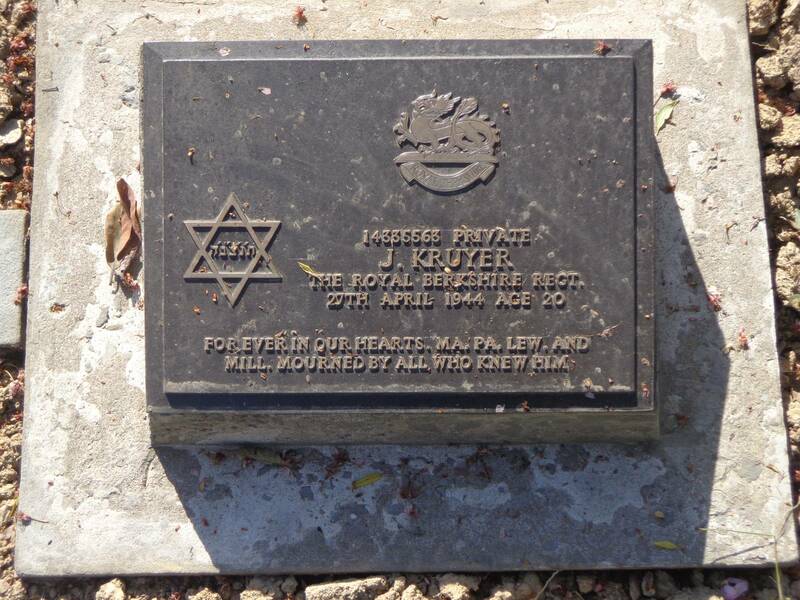 The only Jewish grave in the cemetery. A memorial with names of all the Indians who died in the battle. 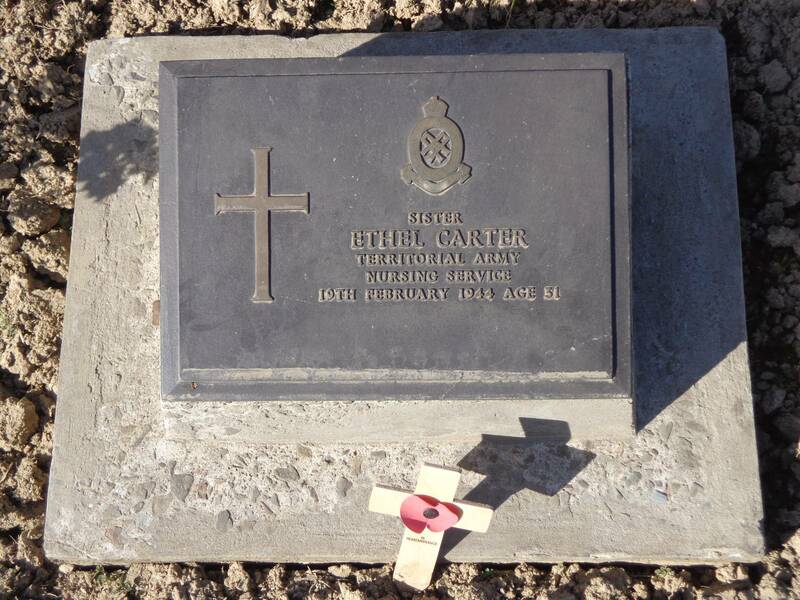 There is a similar plaque with name of the martyrs from the British regiments as well. 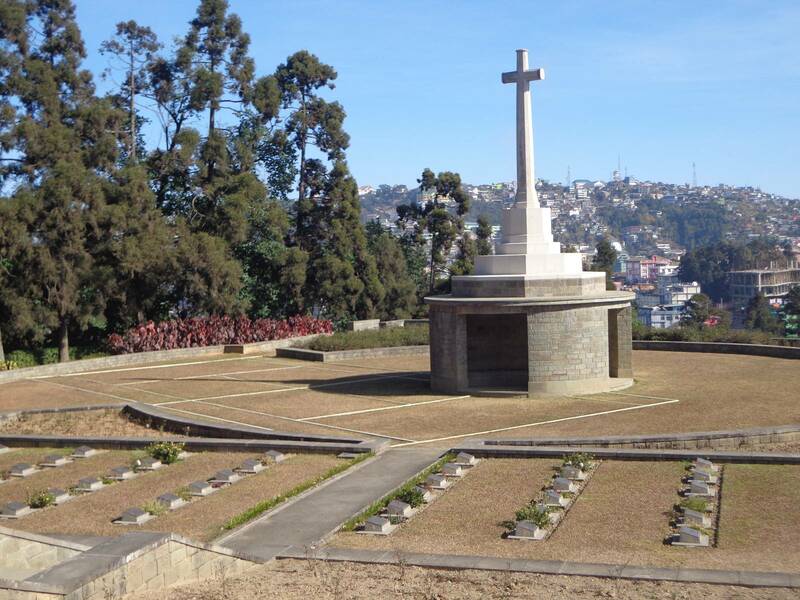 The cemetery is right at the heart of Kohima and is maintained by the Commonwealth War Graves Comission. It is one of the most serene places right in the middle of the bustling city. About 2.5 km South from the cemetery, is the Naga State Museum. The tourist season is over and the people are in a holiday mood. We found no one at the ticket counter. The museum was left open, though. A large wall mural served as a guide to the various Naga tribes and the color schemes of their clothing. 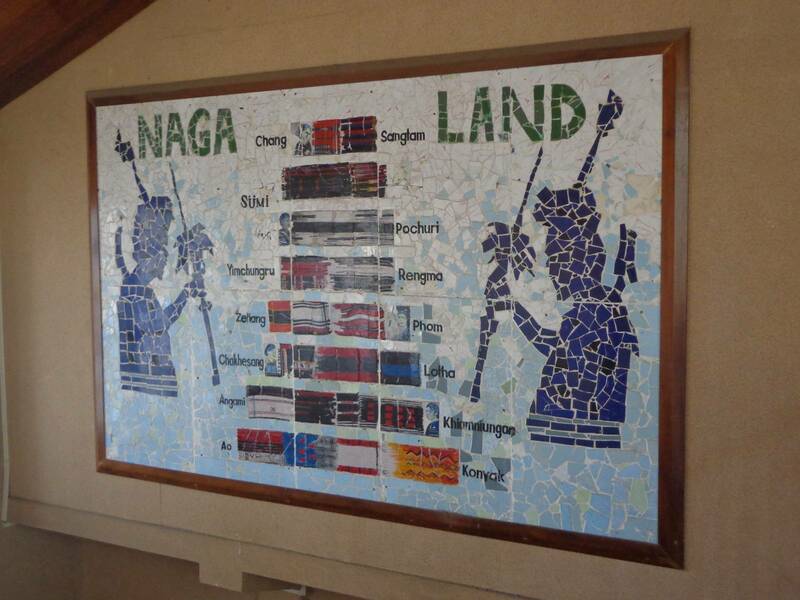 A wall mural serves as a cheat sheet to various Naga tribes. Here are a few interesting / shocking exhibits from the museum. Nagas were headhuters. 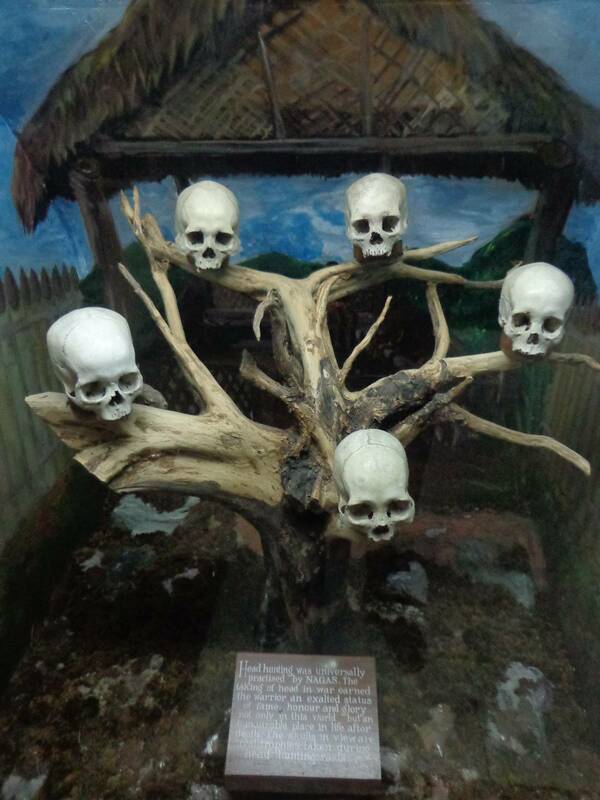 This is an exhibit with actual skulls obtained by headhunting. 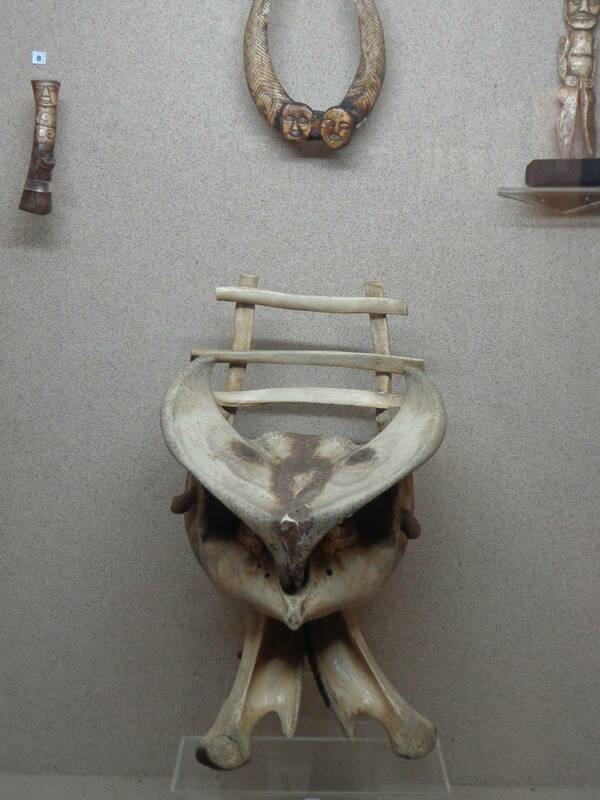 A seat made of elephant bones. 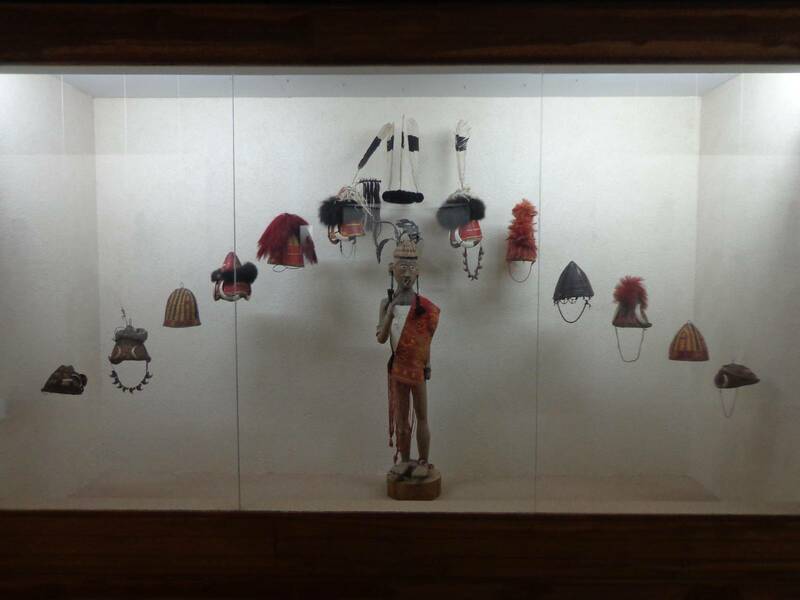 Apart from these, the museum showcases the clothing, accessories and weapons used by various Naga tribes. By 12:00 pm noon, we had checked out of the hotel. 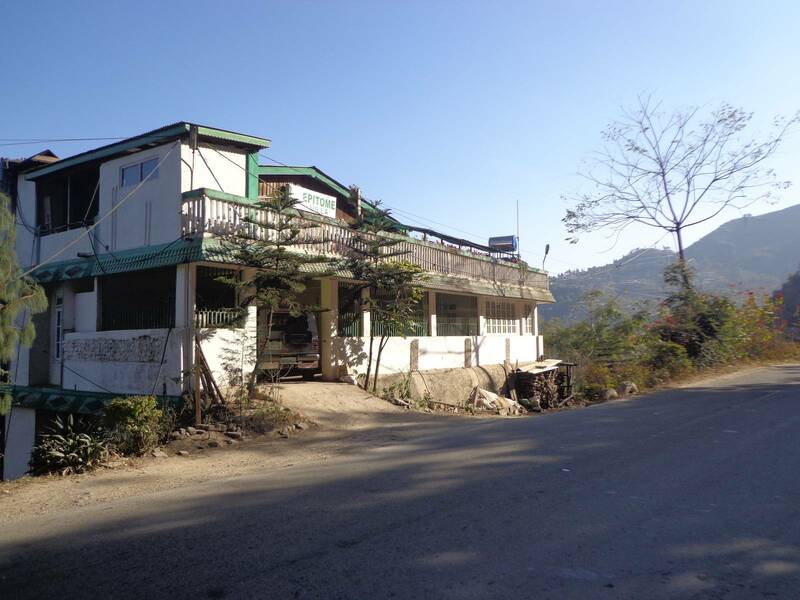 Kisama is about 12 km South of Kohima on the Kohima-Imphal highway. 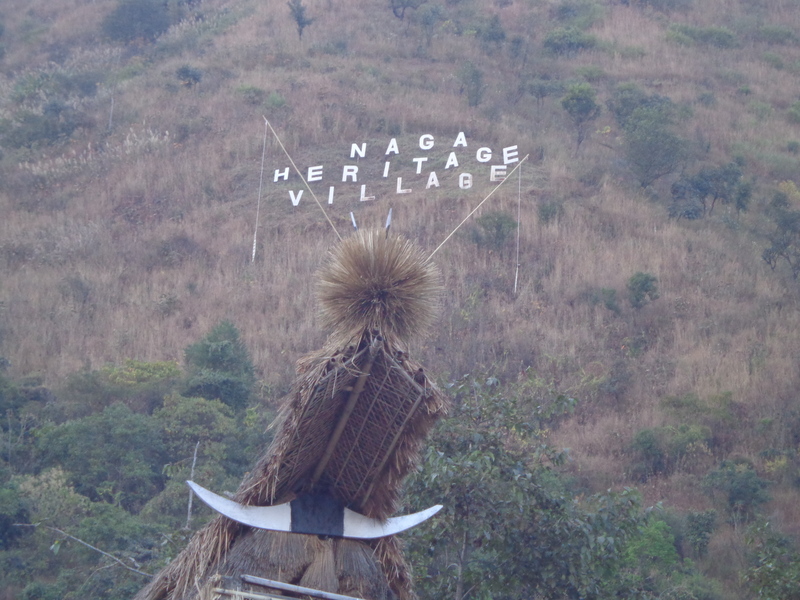 It is a heritage village which hosts the famous Hornbill Festival from December 1st to 10th every year. At other times, it rarely sees any footfall. This is especially true during the holiday season. Consequently, it was difficult to get any shared vehicle to Kisama. We ended up reserving a taxi for 350 rupees. At Kigwama, a small village just below Kisama, we landed up unannounced at a house that offered homestay during the Hornbill Festival. 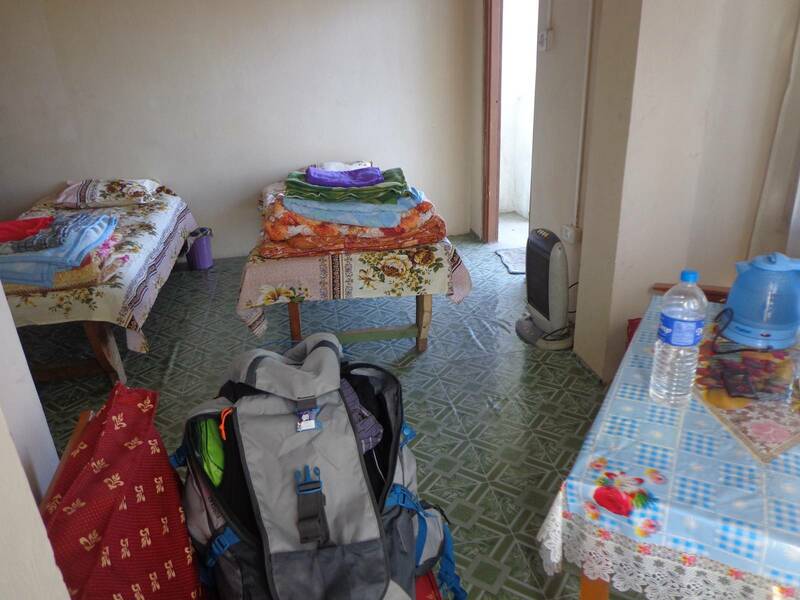 The sisters who run Lalhou’s homestay, Epitome Villa, were super nice and allowed us to stay even though they run it only during the festival itself. This was one of the best resting place we have come across during our trip. 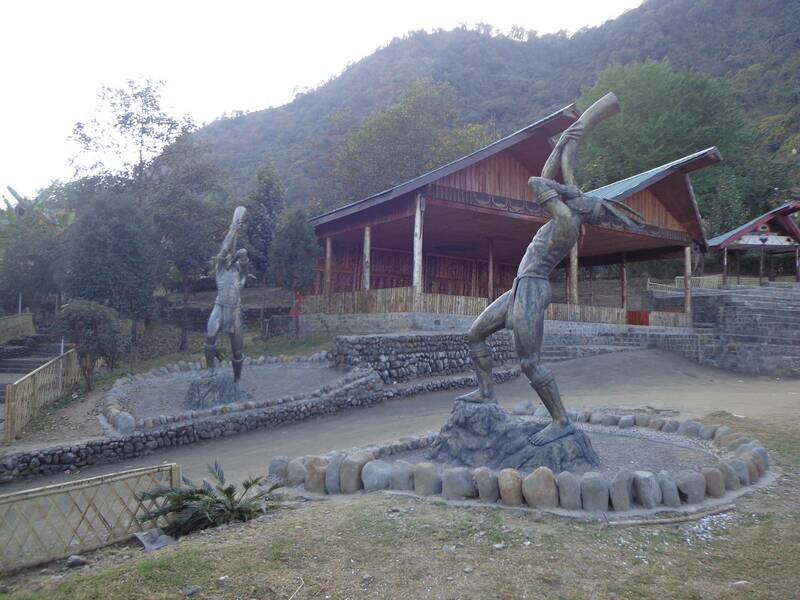 Kisama Heritage village must be buzzing with lots of people from all over India and abroad during the Hornbill Festival. However, at this time of the year, it is an uninhabited land landscaped by replicas of tribal huts. A Hollywood style banner overlooks Kisama village. 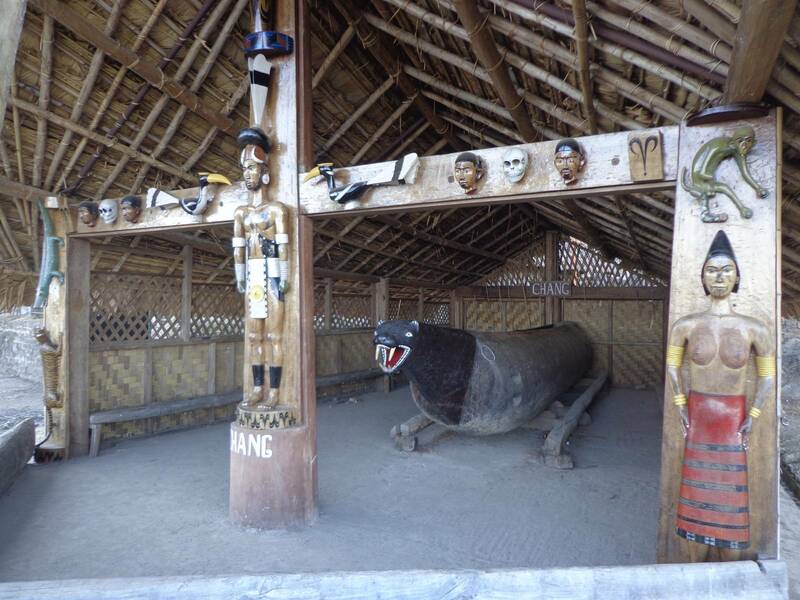 The entrance to the open air theater that hosts most of the tribal performances. 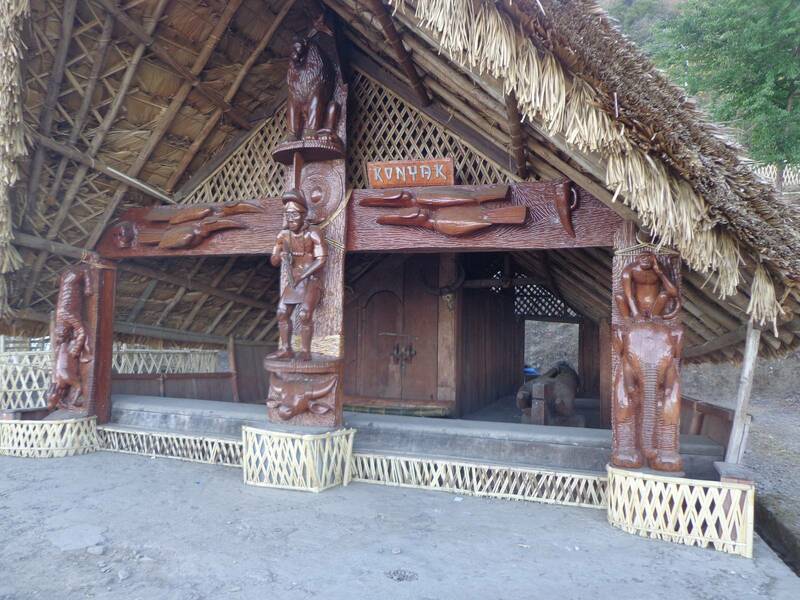 Here are a few pictures of the tribal huts. These are morungs or bachelor huts. They serve as learning center for the young. 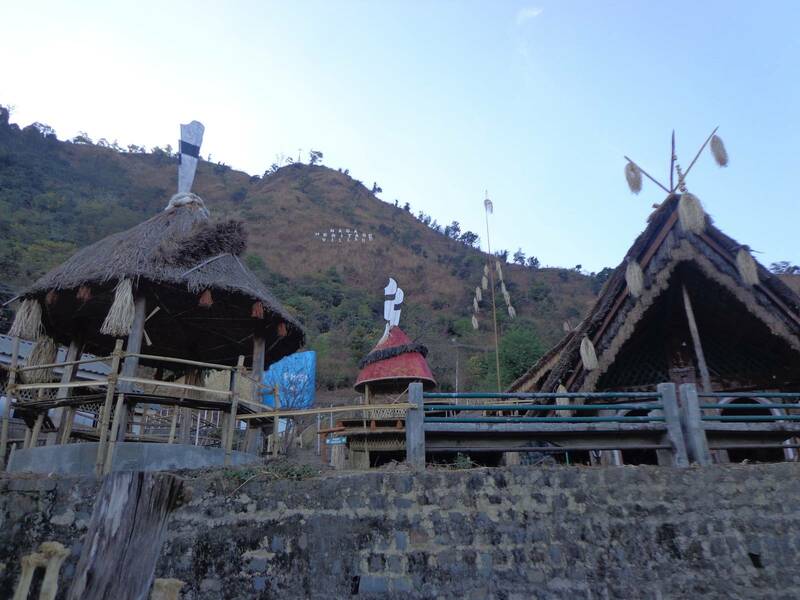 Each tribe has a different style of hut and different decorations. For a deserted venue, it was pretty clean. Barring a small playground, where children occupied the slides, and a spot where two groups were having a picnic, there were no signs of human life. 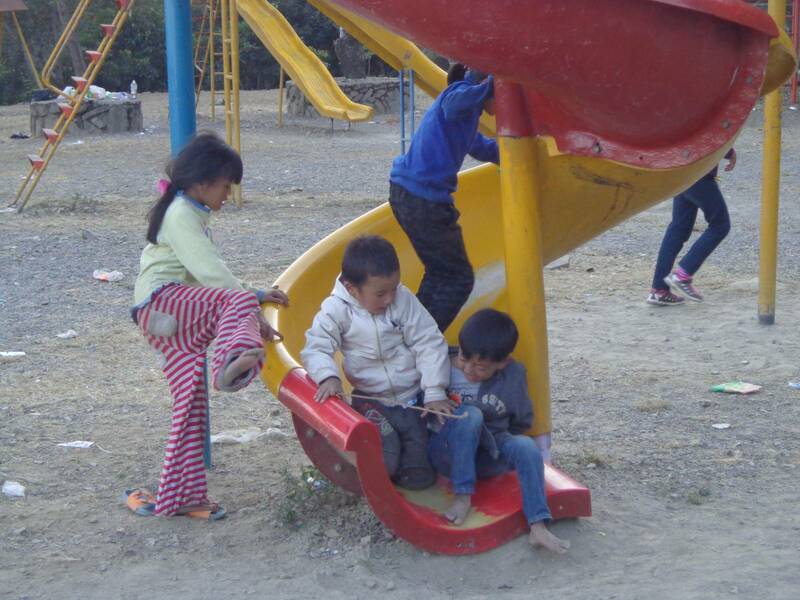 Kids playing at the small playground inside Kisama village. I tried taking pictures of two local kids but they were too shy. My mobile gets the nearest weather station data and sometimes it is off by a degree or so from my actual location. We obtained this information from Gowri Sankar who had visited Nagaland before meeting us in Meghalaya. Again, we saw the images taken by Gowri Sankar.